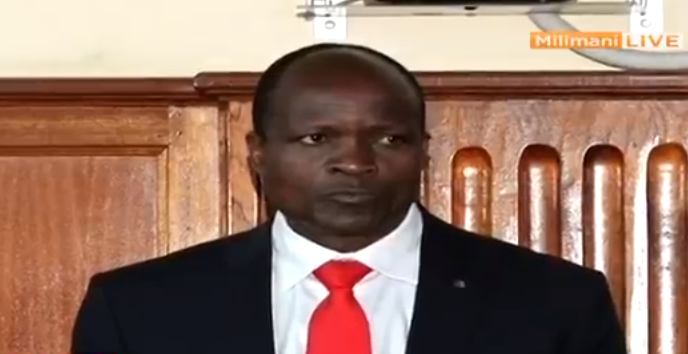 Migori Governor Okoth Obado will remain in custody longer after his bail application was denied. Judge Jessie Lessit ruled that Governor Obado be detained until October 8, 2018. In her ruling, Justice Lessit noted that the court could not determine his bail application before all the witness statements are in court. Kenya’s elite politicians and VIPs have never spent this much time in jail before! Obado has been in police custody since Friday, September 21 when he was arrested in connection with the murder of Rongo University student Sharon Otieno and detained at Gigiri Police Station in Nairobi. On Monday, September 24 he was charged with the murder of Sharon, a count he denied. The court directed he be detained at the Industrial Area Remand Prison pending the hearing and determination of his bail application. During the hearing of Obado’s bail application on Tuesday, senior investigation officer from the homicide unit, Clement Mwangi opposed the governor’s release arguing that there was a high likelihood of him interfering with and intimidating key prosecution witnesses if released on bail. Mr. Mwangi had further submitted that investigations were still ongoing and that investigators would be proceeding back to Migori County offices for further investigations which include interrogating Obado’s close family members, and county employees. “The release of the accused person on bail pending hearing and determination of the trial is not absolute and is at the discretion of the court,” Mwangi said. The officer had indicated that in the view of the intricate relationship between Obado and confessions recorded by some suspects, it would be extremely dangerous to release the accused on bail adding that he is a serious danger to the society and witnesses that may appear in the matter.